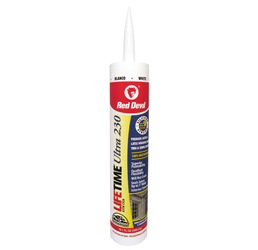 LIFETIME® Ultra 230 Premium Elastomeric Acrylic Latex Sealant is a high performance, multi-purpose sealant formulated to last for the lifetime of your home. 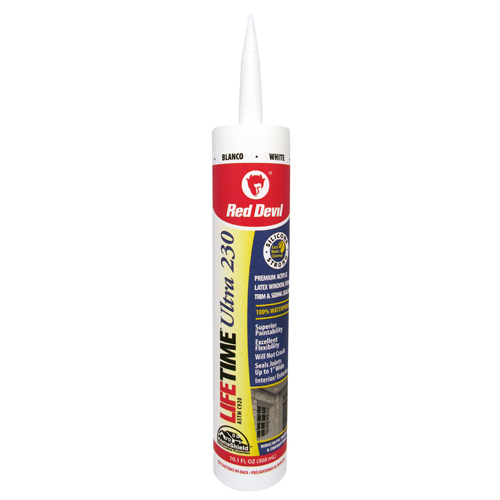 This unique formulation provides the maximum level of durability on a variety of substrates indoors or outdoors. It offers excellent paintability and includes HomeShield&#153 Antimicrobial Protection to ensure against the worst types of mold and mildew. Cured sealant is mold and mildew resistant.